Current research in Nutrition is screening which foods may inferior the danger of disease, and which are accountable for illness. Researchers across the sphere are looking for better understanding of Food Safety network, Food and nutrient intake dietary pattern and dietary guide, Food Quality, Safety and Sustainability. 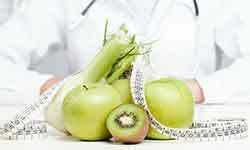 Current study is offering innovative information about the connection among nutrition and health.